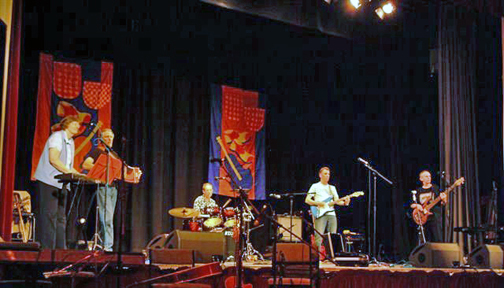 Tumbling Tom are a group of 5 experienced musicians who together create irresistible dance music. As all of them are also singers, a song spot can also be used to create time for dancers to regain their breath. The band is unique in that two of their musicians are also callers, who as well as calling for Tumbling Tom, are also in demand by other bands in the north west.